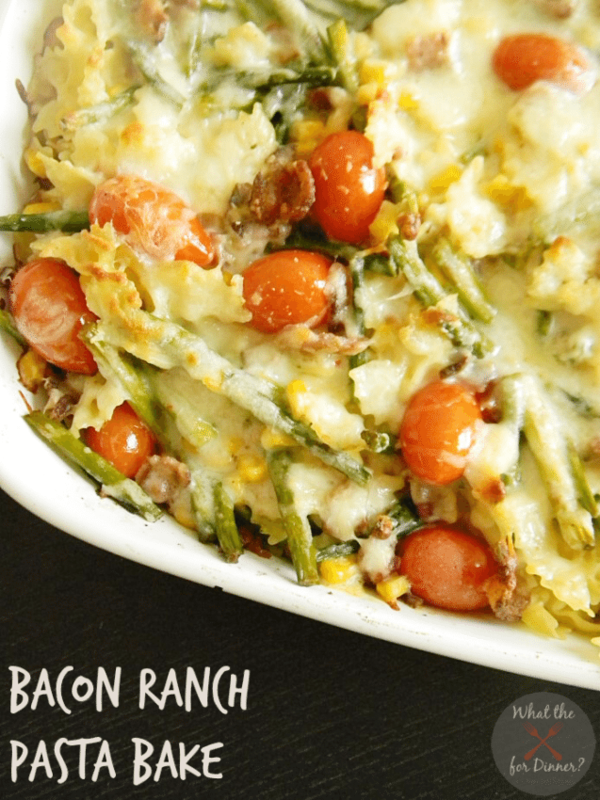 Serve your family a big bowl of comfort with this Bacon Ranch Pasta Bake! Packed full of fresh veggies, crispy bacon & cheesy goodness, even your pickiest of eaters will ask for seconds! Yummy! Looks delicious. pinned. found at cast party wed. Have a great week. OMG this recipe looks so good! I LOVE asparagus this time of year…this recipe is going on the menu board! I made this tonight with cheesy, garlic bread and both my boys went back for seconds. My husband requested I add chicken next time and leave out the tomatoes. However, he ate 2 big plates as well! I loved it!